All three contain a Children's Play Area with a variety of play equipment. The Town Council also owns and is responsible for Halse Road Cemetery and Allotment land at Halse Road, Egerton and Roman Way. 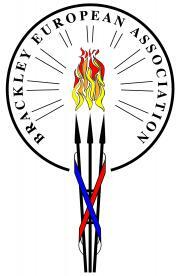 Allotments are managed by Brackley Allotment Association. 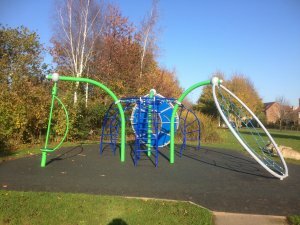 Brackley Town Park is leased from the National Trust and is the responsibility of Brackley Town Council along with the play installed. The town council also owns Tudor Way Park and Rose Garden along with other areas of open space within the town. St. James Lake' is leased from Anglian Water. Brackley Town Council manage, and is responsible for the land surrounding the lake. 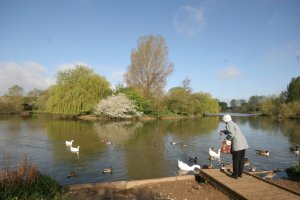 Brackley & District Angling Club own the licence to stock and fish the lake. Brackley Pocket Park is also owned and managed by Brackley Town Council. Should you have concerns regarding any area of open space within Brackley, please contact the Town Council Office, where a detailed map can also be viewed.